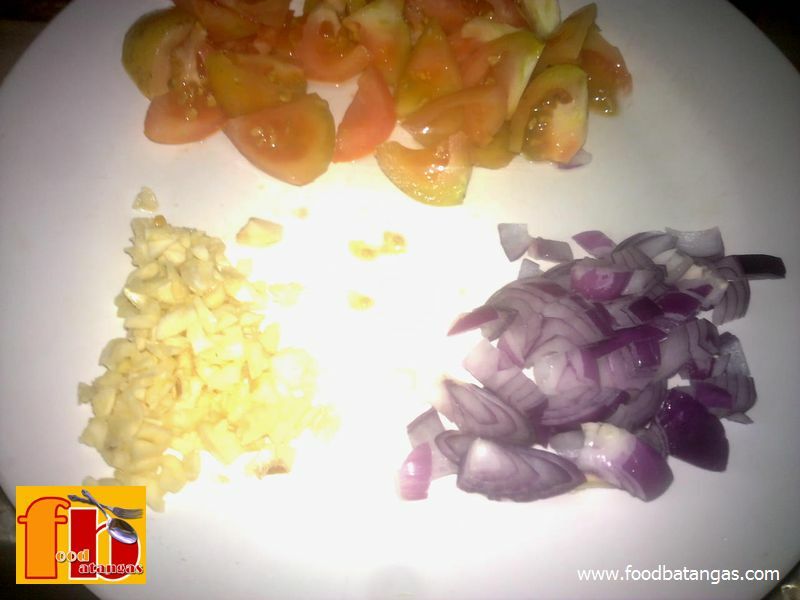 This dish is almost too embarrassingly simple to include in this web site, but we figured that there will be those who are just learning to cook and will need any sort of help getting started. 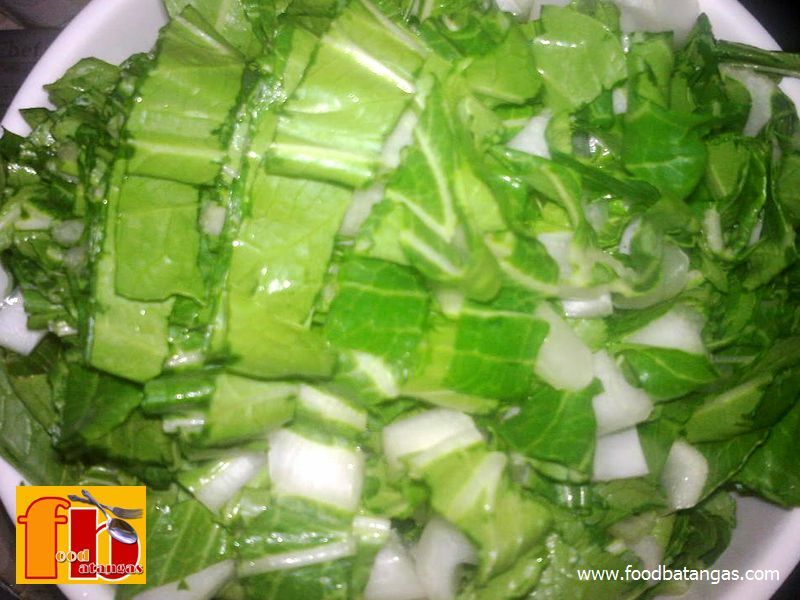 Sautéed or guinisang pechay is quite as ordinary as a Filipino dish can get; but its simplicity should not detract from the fact that it is not only tasty; it is also very healthy. Should be excellent served with crispy fried fish any day! Pound the shrimp heads and shells using mortar and pestle. Add water when done. 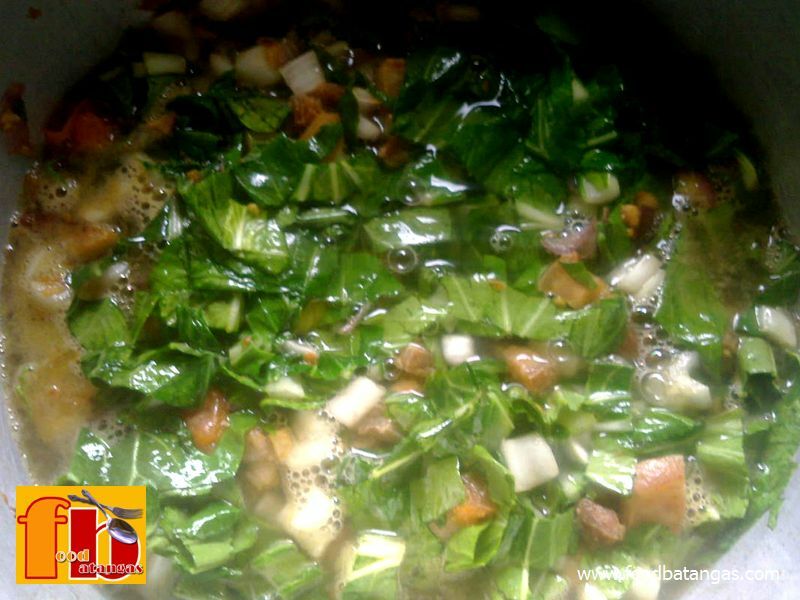 Boil the liempo in half a cup of water in a large wok or skillet until the water fully evaporates. 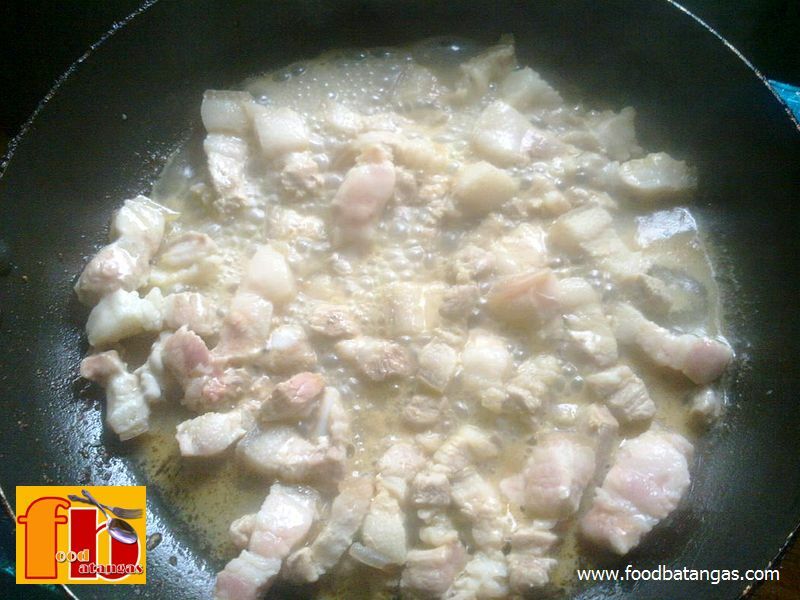 Once the water has evaporated, keep stirring until the lard has been drawn out and the pork has become golden brown and crispy. Set to one side of the wok. Sauté first the garlic in the lard until golden. Add the onions and stir for a minute or two. Add the shrimps and stir for another minute or two. Add the fish sauce and stir for half a minute. Add the pechay and stir for a minute or two. Pour the water with the crushed shrimp shells and heads intoto the wok or skillet. Use a sieve when pouring to separate the shells and heads. These are to be thrown away. 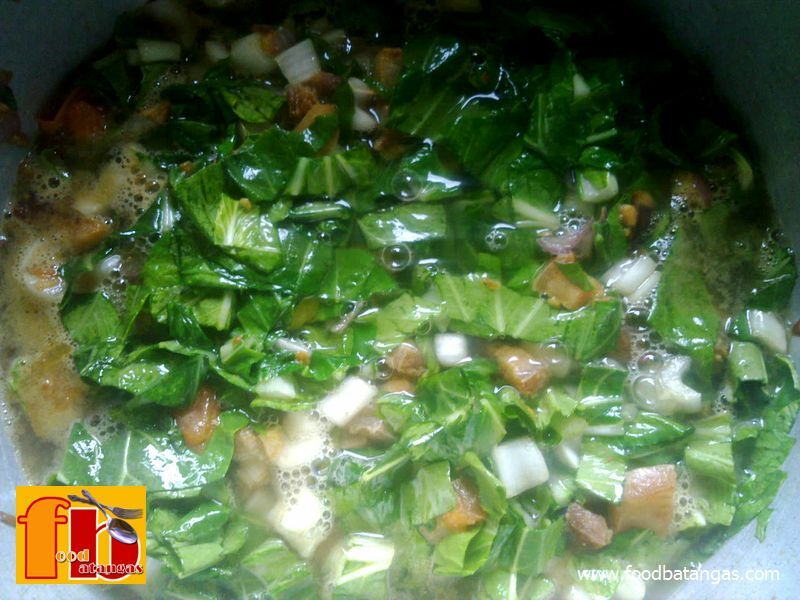 Bring to a boil and simmer for 2-3 minutes. Stir occasionally.